Our service range includes a wide range of Honda City Car Rental, Tata Indigo Car Rental, Hyundai Sonata Car Rental, Opel Astra Car Rental, Tata Safari Car Rental and Maruti Esteem Car Rental. This Midsize Car Maruti Esteem accommodate 4 persons easily. offers you with a variety of Car Package tour in India. 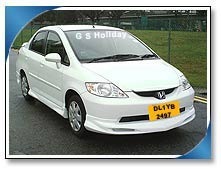 By hiring our Taxi for the particular Indian destination you can avail great discount for your holidays.